VAIL — George Ruther, currently the town’s community development director, has been selected to serve as director of Vail’s newly created housing department. Ruther was selected from among six semifinalists and will begin his new role immediately. The town initiated a national search for the new director in January following an organizational restructuring approved by the Town Council during adoption of the 2018 budget. Vail’s housing services had previously been a division of the community development department and Ruther has been helping direct the housing efforts alongside management of the department’s other divisions including planning, building and environmental sustainability. During 2017, the town’s housing initiatives identified 183 deed-restricted homes through a combination of development approvals, new construction and Vail inDEED acquisitions — making more progress than in any other period in Vail’s 50-plus year history. In announcing the appointment, Town Manager Greg Clifton said Ruther’s success in leading the town’s recent housing initiatives and his passion for housing in Vail made him the top choice. As the town looks to build upon the momentum in creating additional opportunities for resident and workforce housing in Vail, Ruther will be responsible for providing day-to-day management, leadership and operations of the housing department, in addition to serving as liaison to the Vail Local Housing Authority. The new department is also staffed by a housing coordinator. Lynne Campbell was previously named to fill that position. Appointment of an interim community development director will be done shortly, Clifton said, and a process to fill the vacancy will begin in the months ahead. 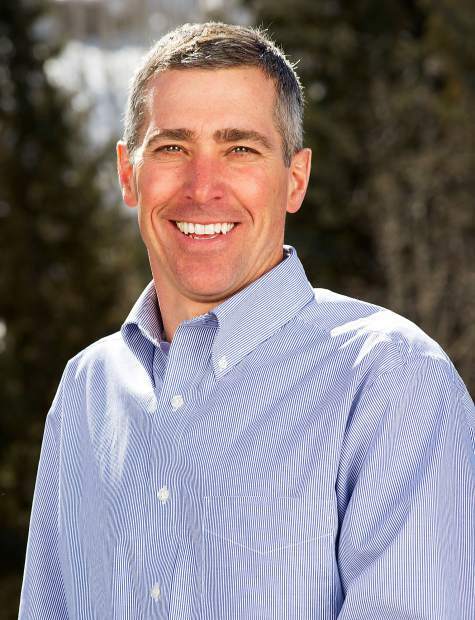 Ruther has served as the town’s community development director since 2007 and has overseen many initiatives during those 11 years, including approval and implementation of the Lionshead Redevelopment Master Plan in 1998, which served as a catalyst for Vail’s billion dollar-plus renewal. In addition, more than 30 actions identified in the 1995 Comprehensive Open Lands Plan were implemented, as well as updates to the Vail Village Master Plan, Gerald R. Ford Park Master Plan, Donovan Park Master Plan, Vail Valley Medical Center Master Plan, and most recently, the Vail Housing 2027 Master Plan. Prior to becoming community development director, Ruther served as a planner in the department from 1994 to 2007 after completing an internship with the town. In his new role, Ruther said he’s looking forward to the opportunity to continue working with the council and housing authority as well as the private sector to build on the town’s momentum in increasing the supply of resident housing. For more information, call Clifton at 970-479-2105 or email gclifton@vailgov.com.